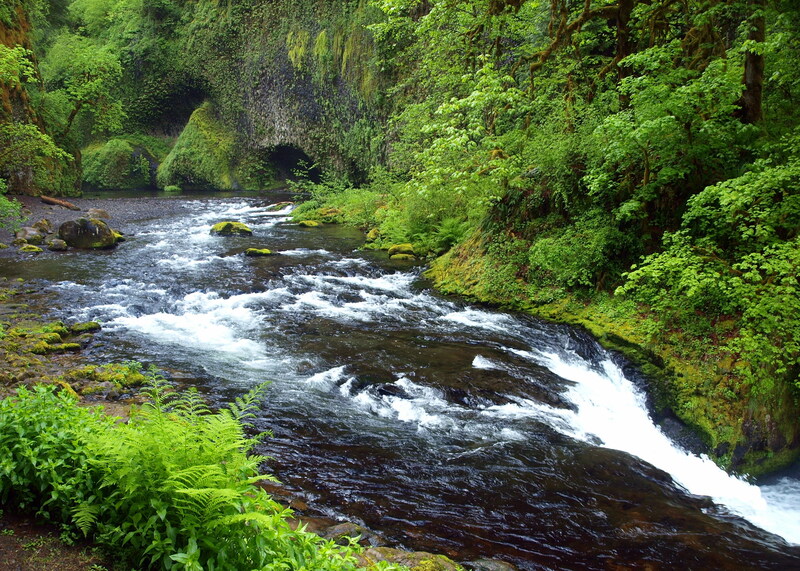 This is where the Eagle Creek Trail in the Columbia River Gorge dips down to show off Punch Bowl Falls. Though the Punch Bowl is what people rush around the corner to see, I think the steep, scenic grotto prior to the falls is just as wondrous. 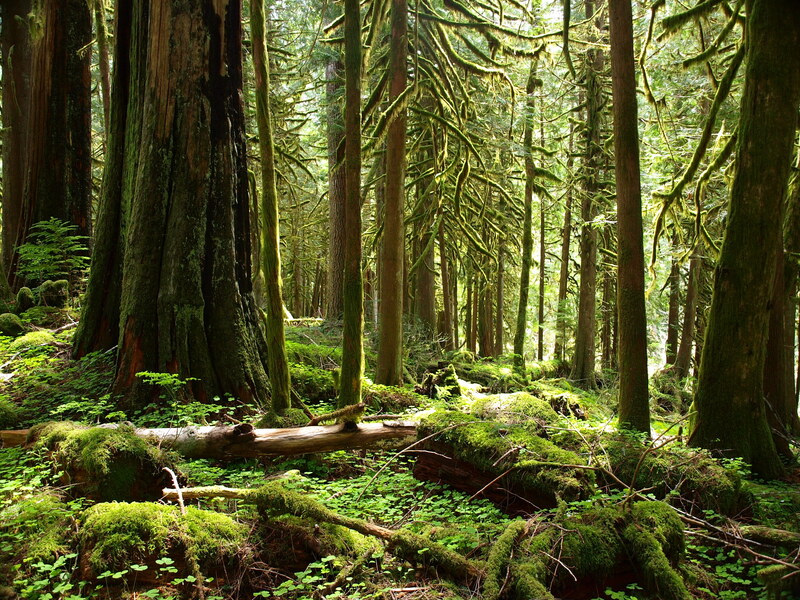 The Eagle Creek Trail in the Salmon Huckleberry Wilderness leads through an old growth forest with an understory so thick you could eat it with a spoon.